Contests are an important aspect of the lives of diverse animals, from sea anemones competing for space on a rocky shore to fallow deer stags contending for access to females. Why do animals fight? What determines when fights stop and which contestant wins? 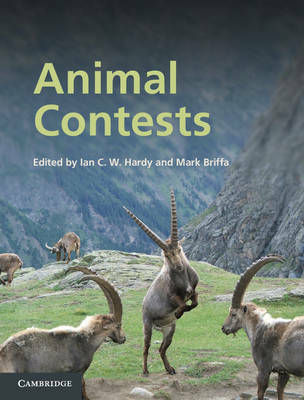 Addressing fundamental questions on contest behaviour, this volume presents theoretical and empirical perspectives across a range of species. The historical development of contest research, the evolutionary theory of both dyadic and multiparty contests, and approaches to experimental design and data analysis are discussed in the first chapters. This is followed by reviews of research in key animal taxa, from the use of aerial displays and assessment rules in butterflies and the developmental biology of weapons in beetles, through to interstate warfare in humans. The final chapter considers future directions and applications of contest research, making this a comprehensive resource for both graduate students and researchers in the field.